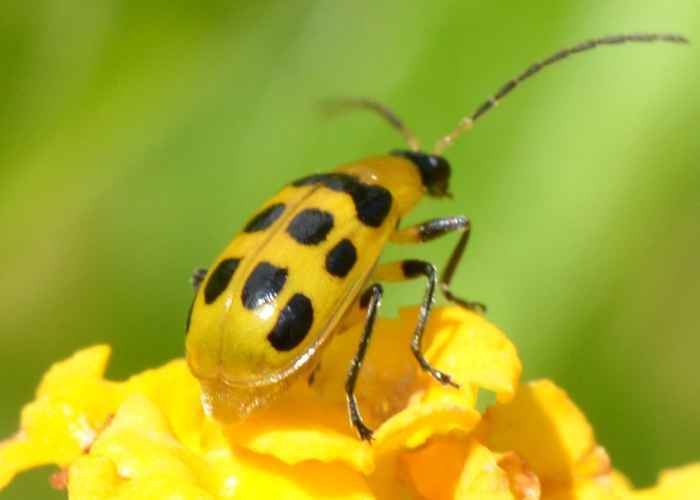 Diabrotica undecimpunctata (Spotted Cucumber Beetle). Size: approx. 7 mm. Photo: 09/08/11, noon. 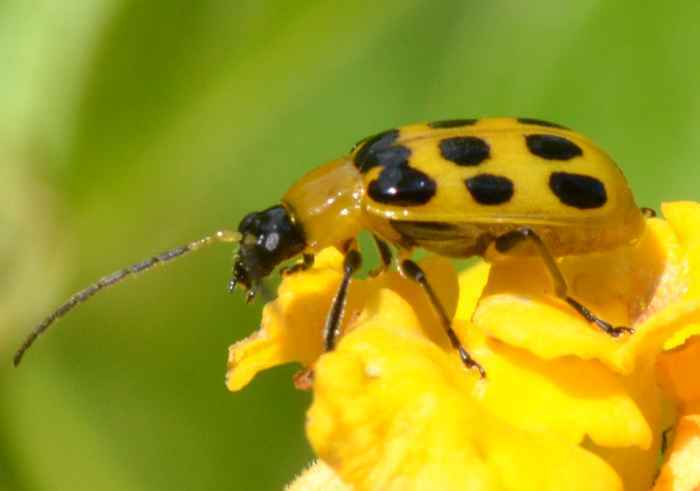 I believe this is a Spotted Cucumber Beetle (Diabrotica undecimpunctata). The larval stage is also known as Southern Corn Rootworm. 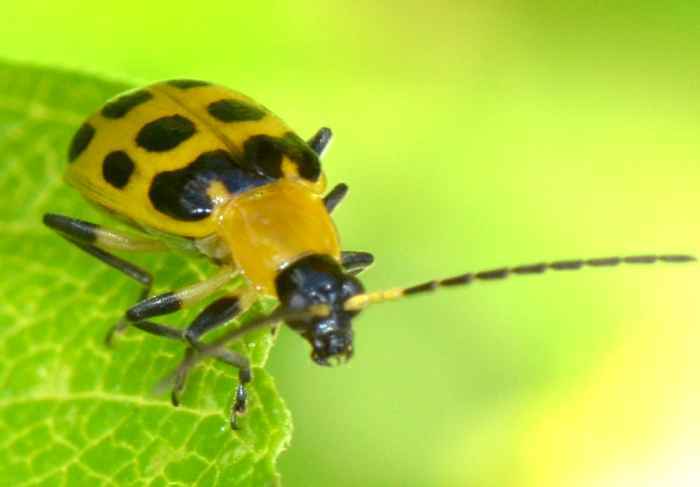 Adult beetles are yellow to green with eleven black spots on the elytra. In this specimen three spots have merged (best seen in the right photo below). They are considered a major pest damaging cucumbers, squashes, corn, soy, and also some garden plants such as hibiscus and roses.